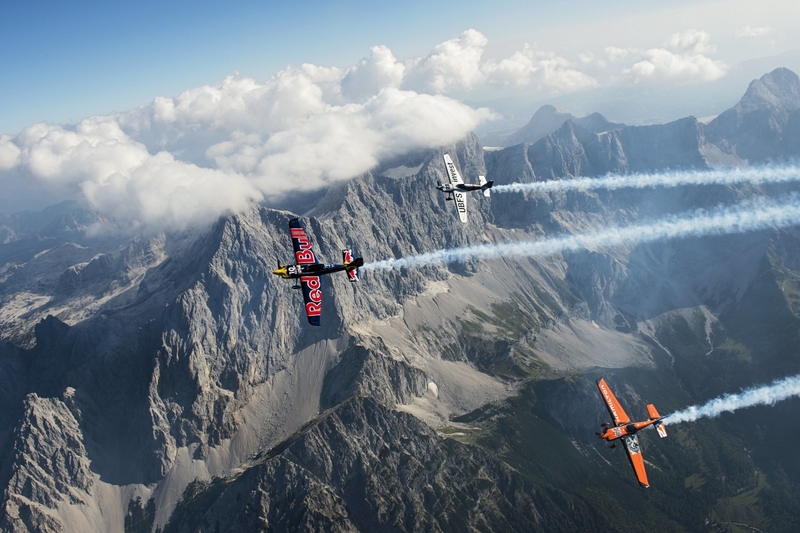 Austria’s own Hannes Arch led Nicolas Ivanoff (France) and Kirby Chambliss (USA) on an aerial tour of a spectacular UNESCO World Heritage Site on Tuesday, just days before the kickoff of Red Bull Air Race in Spielberg, Austria. 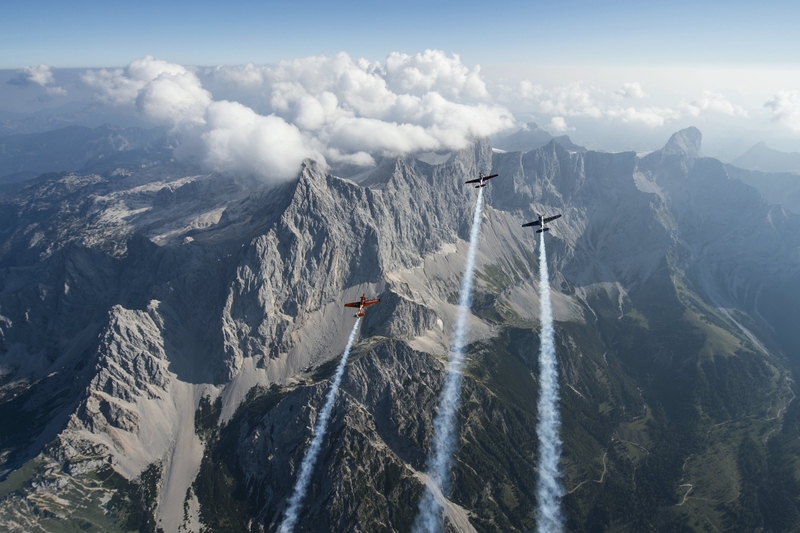 The trio flew over Arch’s native Styria to view the Dachstein massif, with its craggy mountainsides and breathtaking, 2,700-meter-high glacier. The Dachstein has inspired Arch, a passionate mountaineer, since his youth; and the Alpine setting was a reminder of the altitude and challenging terrain that await all 14 elite competitors when the world’s fastest motorsport series goes airborne at the Red Bull Ring in Spielberg. With only three stops left in the battle for the 2015 Red Bull Air Race World Championship, the pilots will be pushing the limits at the prestige motorsport circuit. The race holds special significance for Arch, Ivanoff and Chambliss: For the Austrian, currently at third in the overall standings, it’s a pivotal chance to make up ground on the rivals ahead of him – Paul Bonhomme (Great Britain) and Matt Hall (Australia) – in front of a home crowd. For the Frenchman, it’s an opportunity to repeat his triumph of 2014, when the Red Bull Air Race first came to Spielberg. And the American is keen to build momentum before the series heads to the United States for its final two stops. In the Red Bull Air Race, which is the official world championship of the Fédération Aéronautique Internationale (FAI), the world’s top pilots hit speeds of 370 kmh while enduring forces of up to 10G as they navigate a low-level slalom track marked by 25-meter-high, air-filled pylons. The 370-km/h action begins with Qualifying on Saturday, September 5, followed by Race Day on Sunday.